Last weekend after a film premiere I found myself at a reception at one of Bangalore’s many swanky hotels. “This is not India,” I overheard a Frenchman remark, referring to the trendy bar we were in. Yes, this is India, I thought to myself. This is one facet of India. One of India’s many faces. I think there are few foreign tourists who come Bangalore. There are expats, yes, but they are a different breed because they have come to India for professional reasons (and usually don’t like it). Travellers come to India (often every year) because they like it. That’s India. You love it or you hate it: passionately in either case. Tourists and travellers are also different breeds. 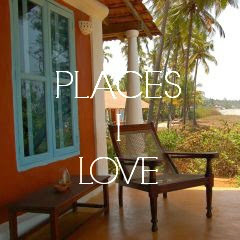 Tourists visit Rajasthan, the Taj Mahal and Kerala and stay in each place for a few days. Travellers go to places like Rishikesh, Manali, Varanasi, Goa, Tiruvannamalai and Hampi and stay for a few weeks, months or years. These places all have something of the ‘Incredible India’ about them, but they have also become travellers’ haunts overrun with Internet cafés, German bakeries, Israeli restaurants and banana pancakes. And annoying touts asking you if you want to buy hashish. 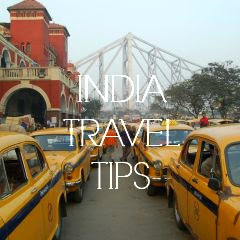 Travellers tend to avoid Indian cities. They are too big, too crowded, too polluted, too noisy. They are also too ‘modern’ and therefore not the ‘real India’. They don’t want to see things that remind them of home, like shopping malls, automatic teller machines or rapid transit systems. They want the elephants and snake charmers. They want the authentic experience. The real India. Cities are of course very much a part of Indian life and if you scratch the surface and emerge out of the usual tourist haunts, real India inevitably stares you in the face from every doorway and street corner. India is temples, pilgrimages and festivals. India is shopping malls, mobile phones, and tech parks. India is vada pav, masala dosa and aloo gobi. India is Domino’s Pizza, Baskin Robbins and caffe lattes. India is overpaid executives, underpaid domestic workers and overworked taxi drivers. India is stylish bars, trendy nightclubs and 5-star hotels. India is darshinis, dabhas and chai stalls. India is doctors, engineers and IT professionals. India is rag pickers, office peons and rickshaw wallahs. India is Bollywood, Tollywood and Kollywood. India is arranged marriages, dowry deaths and child labour. India is high-end real estate and overcrowded slums. India is many things. They are all real. Beautiful post Isabel. I loved the summarisation..
Lovely alliterative, descriptive post!Yes, India is all this and more....! Nice post.But I get a feeling arranged marriage here is given a negative feel.Again,this is misunderstood by foreigners as they think its in the days gone by where the girl and boy did not see each other's faces,that it was forced,etc. In fact it is a healthy system,where the boy and girl are brought together by friends or family members,and only after they girl and guy meet,discuss,and all if other factors work out,does the marriage take place. And statistics show that such marriages are very successful for various reasons. This is an interesting topic Anonymous, one I would like to perhaps write a whole post on. You're right, many foreigners find it hard to understand the arranged marriage system. I have a lot of friends who have had arranged marriages and seem happy. But I wonder if a few face-to-face meetings and discussions are sufficient to get to know someone who will be your life partner. What about people who want to marry but their parents disagree because the other person is of a different religion or caste? Doesn't this system work against them? I know a woman who was disowned by her family because she decided to marry a man of a lower caste. I know that today potential couples meet and 'date' before entering an arranged marriage but I don't know if this happens in all social classes. I wonder why my domestic helper got her youngest daughter married at 15. India has a very low divorce rate. I don't know if it's because of the success of the arranged marriage system or because divorce is such a huge social taboo. A fascinating and complex topic! Perhaps the subject of a future post...? I am sure its hard to summarise India in a few hundred words.But well done.Being one,I still am in awe of the complexity of this country. I found your comment section even more interesting:)I would like to discuss it when we meet next,as there are some points I have about this system versus the western style.I can answer all the above questions too.Should be an interesting chat. Thanks for visiting. We've discussed this topic before and it's always been interesting. I'm looking forward to sharing thoughts! Hi Isabel, I moved to Bangalore a couple weeks ago from Canada and am enjoying reading your beautifully written blog posts on life in India! I hope that I will be an ex-pat with a traveller's heart! :-) Best wishes. I found your blog recently and started following it since then. 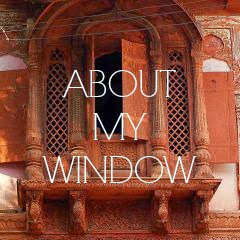 I am married to an Indian and therefore sometimes in India, but most of the time abroad. I have to agree to the previous comments, that this was a very good and short summary of all the contrasts India has, but I can also understand the quote of the French person, you mentioned at the beginning. When I come to India, my relatives will show me the progress. New High-rise Buildings, Shopping Malls, Streets… complete new gated communities and for them it is difficult to understand that my favourite place in India is still an old boring, dusty village in Rajasthan, where just a couple of people are living between the ruins of two forts with lots of monkeys, which we visited once to see an old granny. Tourists and also Travelers are not coming to see that India looks just like home, why should they otherwise leave the house and pay for the long flight. And being as a European in a chic Bar, which you can find at any corner at home must feel like a waste of time during your hard earned and anyways short holidays. I agree. Many foreigners, especially those from countries with Orientalist traditions, would like to see India as it was during the time of the Raj, which is sad. They miss so much by ignoring the contemporary. In fact, you could argue that they miss the whole point! Can you love India but not love living in India? I guess I am one of those expats. I also love the cities AND the villages. India is the head shake. India is the angry looking business man walking by the street children laughing with abandon.